A straight stair lift that accommodates a straight stairway is the easiest to install and the most economical. 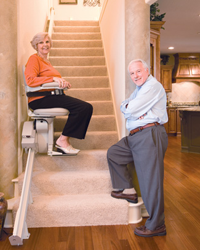 Indy Stair Lifts, a division of Nationwide Lifts, offers high-quality straight stair lift models that provide independence to anyone who has trouble climbing stairs. The Indy Lux model is a straight stair lift that combines elegance with safety and excels in style and comfort. It has a 400 pound weight capacity and a seat width of 21.75 inches to suit a variety of body types and sizes. It features a compact design that allows guests to climb that stairs away from the stair lift and also has a seat that swivels at the upper landing offering an easy and safe exit. The Indy Pinnacle is our most popular straight stair lift model and also the narrowest that extends 11 inches from your wall. It’s ideal for narrow staircases in older homes or anyone who desires a compact stair lift. It features a helical drive system to make every trip comfortable. It has a number of safety features including sensors that stop the stair lift automatically when it meets an obstruction. The Indy Pinnacle seat is adjustable for height and swivels at the upper landing for safe exit and entry. All Indy Stair Lifts’ straight stair lift models come with a 10 year warranty, which exceeds our competitors by many years. We stand behind our professionally designed, durable stair lifts that will make every trip up and down stairs comfortable. 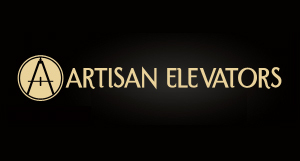 For more information about our top of the line straight stair lift models, please call 1-888-203-5754 at your earliest convenience. Our experts will discuss the best models for your home and make arrangements for an in-home inspection that will allow us to determine the best model for your home and the individuals who will use it. Contact Indy Stair Lifts for details on the straight stair lift model that will enhance the independence of you or your loved one.